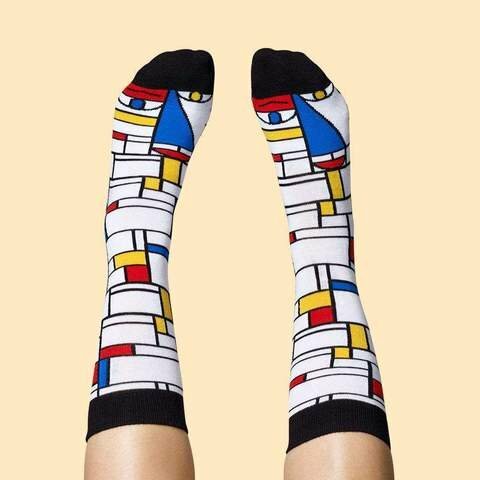 Just three colours, some black lines and a canvas, what more does an artist need? 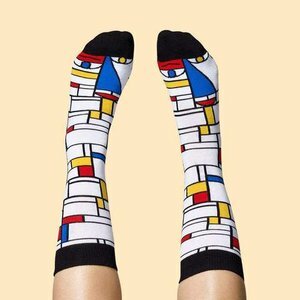 Thankfully, we’re not being as minimalist with our description of our creative character Feet Mondrian. 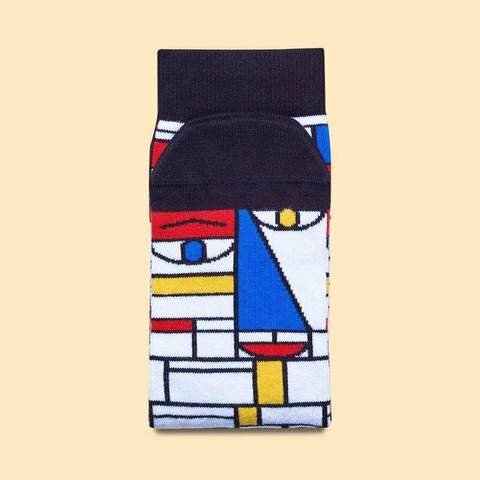 There’s plenty we could tell you about him; he loves bright colours, he’s a modern man, he has a soft (combed cotton) sole, and is the brightest sock in the drawer. 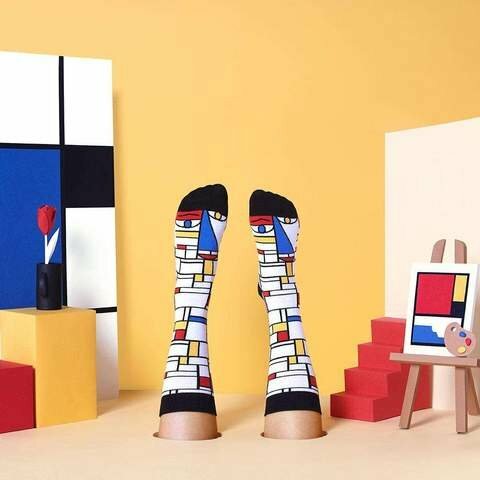 Take these quirky artist socks with you to the gallery to impress other art-lovers or let him help you pick out a paint chart for your living room. Just don’t expect too much variety; that’s where he draws the line.